For many years the only way to fight fire was water. Then cComes the 20’th century and special foams and powders which are somewhat more effective but are used in a fundamentally similar fashion – hose, bucket or pressurized container, and drench. But now a team of Harvard scientists were was able to demonstrate a new way of fighting fires – using a powerful blast of electric current. During a recent meeting of the American Chemical Society the scientists described a way of extinguishing fire using 600-watt amplifier which directs the electrical current into a beam. The scientists went on to demonstrate how they extinguish a foot high flame using the device time and time again from a distance. How this magic is done is apparently not well understood at this point and several factors might go into play here. However it seems that carbon particles which are created during the combustion process can be easily charged and from this point on they respond to electrical fields in ways which are not fully understood but can cause the flame to lose its stability. Researchers believe that with further research they can reduce the amount of power needed to perform this kind of trick to several dozen watts and reduce the size of the device to a backpack unit or even a hand held device. 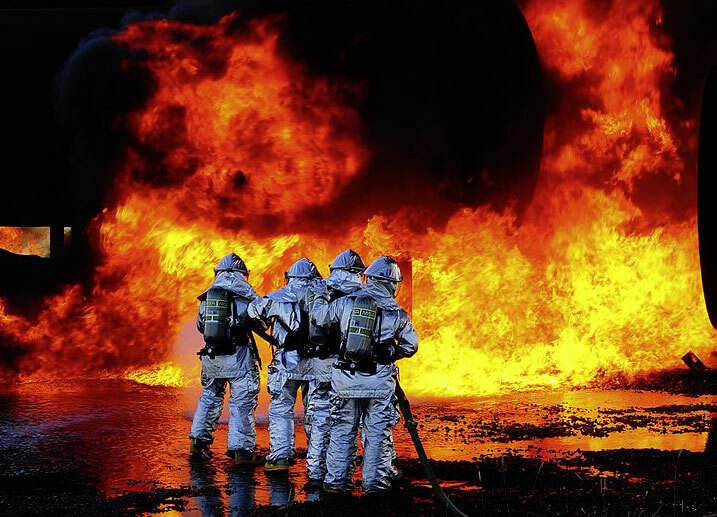 This kind of technology can open a completely new area in firefighting and although it is still many years before we can even dream of extinguishing forest fires with electrical power (if this task is even possible) smaller fires in closed buildings might benefit from such a technology.